There used to be a time where impact wrenches were only used by professionals, simply because they required an air compressor. Most DIYers didn’t have the space to store a giant tank in their garages, but this changed when battery-operated impact wrenches were introduced. However, performance has always been an issue with the cordless impact wrenches that use batteries. 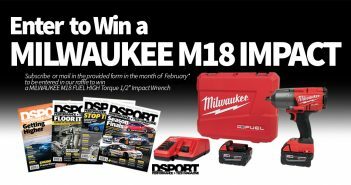 With the technology of the compact impact wrenches evolving, we chose to review one of Milwaukee’s newest products, the M18 FUEL High Torque ½” Impact Wrench, to test out in our Club DSPORT. We decided to choose Milwaukee because it is one of the most reputable manufacturers in the industry. With over 85 years in the business, since 1924, we knew the company wouldn’t introduce a product that lacks performance or durability, which are the two most important things in an impact wrench. 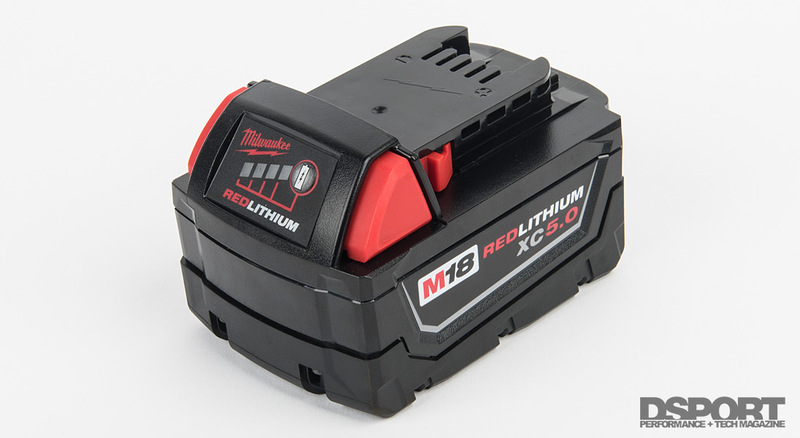 Milwaukee has been applying Lithium-Ion technology in their products, and they have been consistently producing quality and innovative products for decades. We knew that the highly-respected company would set high standards that would make for great testing. 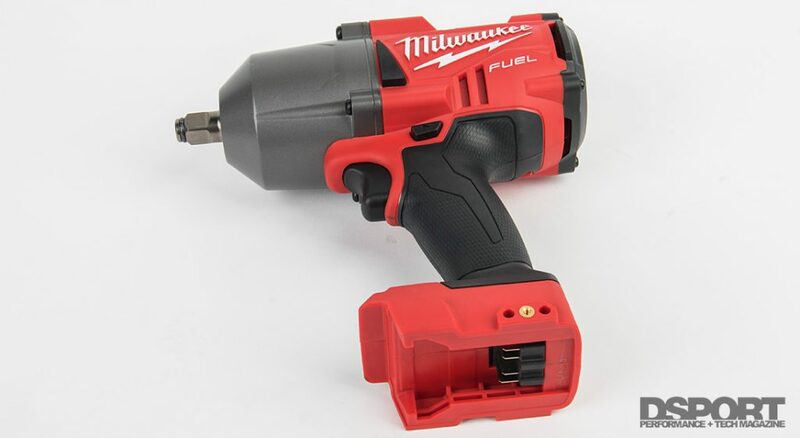 On today’s stage, the Milwaukee M18 FUEL Impact Wrench 2767-22 offers a multitude of features. One of the innovative aspects of this product is the fact that it uses a brushless motor. The “old-school” brushed motors consisted of carbon brushes, magnets, armatures, and commutators. The brushes and the magnets remained in place, while the armature and commutator rotated on the motor shafts. The brushless technology doesn’t have brushes or commutator. Instead of the old technology, a circuit board allows the energy to be delivered to the windings. 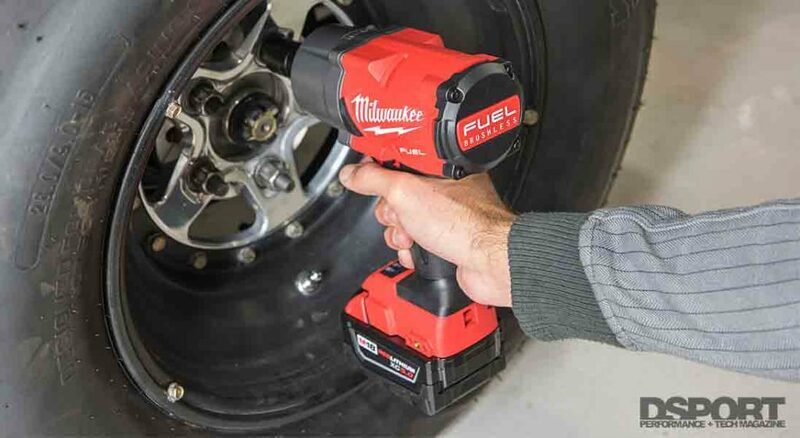 The brushless motors allow the impact wrench to be more efficient, durable and powerful. This is due to the fact that it doesn’t have the friction and voltage drop that the brushes cause when they drag against the commutator. Setting up this impact wrench requires no skills. The battery easily slides and secures into place, and removing it is a matter of squeezing the two buttons on the sides and sliding it out. The kit comes with the impact wrench, two 18-volt batteries, and a charger. Mounting the battery on the charger is as easy as mounting it on the impact wrench, and the rapid charger is claimed to charge 40% faster than regular chargers. Once the battery is charged and mounted on the impact wrench, nuts and bolts stand no chance. All you need to do is choose whether you want to tighten or loosen the task at hand, and you can consider the job done. Although the 2767-22 may visually look simple, it is packed with great features. Right below where your pinky goes, you’ll find four buttons to toggle through your different modes. The first three modes allow for different torque powers of up to 1,000 ft-lbs of torque, and the fourth mode is a nut-busting mode that runs at up to 1,400 ft-lbs of torque. 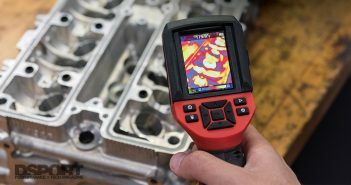 If you’re working on a car, we highly recommend starting off with the lower modes, as the tool is more powerful than you can anticipate and could end up causing damage to your car’s components. The impact wrench is equipped with REDLINK PLUS technology, which prevents damage to the tool and battery when overloaded. Using the 2767-22 around Club DSPORT, we learned that this is one powerful impact wrench. With a 7.5-pound weight and a comfortable rubber grip, working with this tool is a breeze. It measures 8.39-inches in length, making it extremely functioning in small areas, like loosening up suspension components under our Nissan GT-R R33. Old, rusty nuts were removed quicker than we can count, and lug nuts were loosened in a matter of moments. The impact wrench even loosened a heavy-duty, old nut on the four-post lift in the D’GARAGE. The very-powerful LED bulb works perfectly in dimmed areas; however, switching through the different modes activates the light, which shines brightly in your eyes. The wrench handles extremely well under high-torque situations, it feels well-balanced when holding it, and provides aggressive torque to get almost any job done. The new design is slightly shorter than the previous one, which allowed us to squeeze into the wheel well to reach various components in there. Although this powerful product delivers in many ways, it may still not be for everyone. 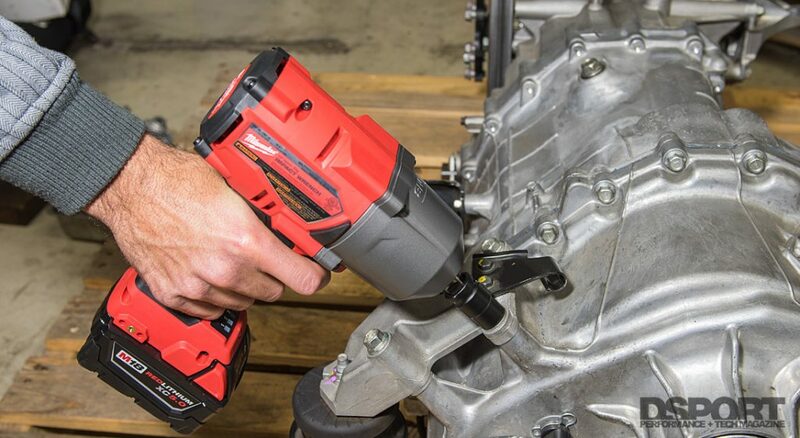 It is extremely powerful, so if you’re looking for mid-torque impact wrenches, you may be better off with the Milwaukee 2861 Mid Torque impact wrench. If you’re in the line of work that requires extremely high-torque impact wrenches, this product will make your life easier. It is no secret Milwaukee makes quality products, and this one in particular is the real deal. The torque is high enough to tackle the toughest of tasks, but it is also isn’t so high that it wouldn’t make for a great tool around the house. 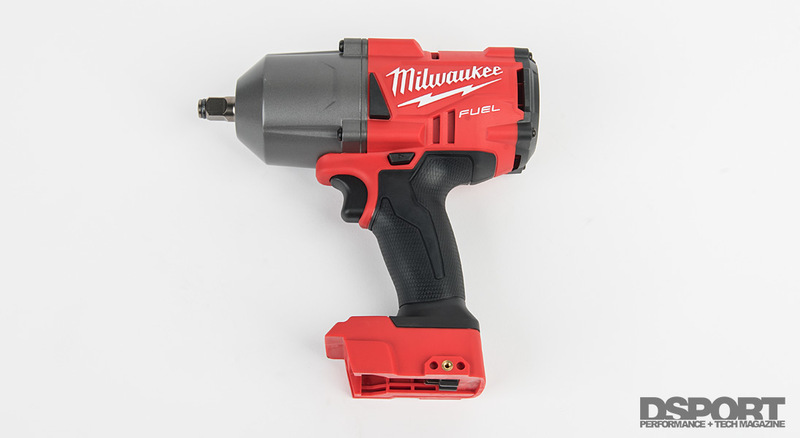 When compared to some of its competitors, the Milwaukee 1/2” high torque comes in on the upper side of the price list, but with a five-year warranty, less than eight pounds of weight, and a smaller structure than almost all other competitors, it could very well be worth every penny if you intend on using it to its full potential. 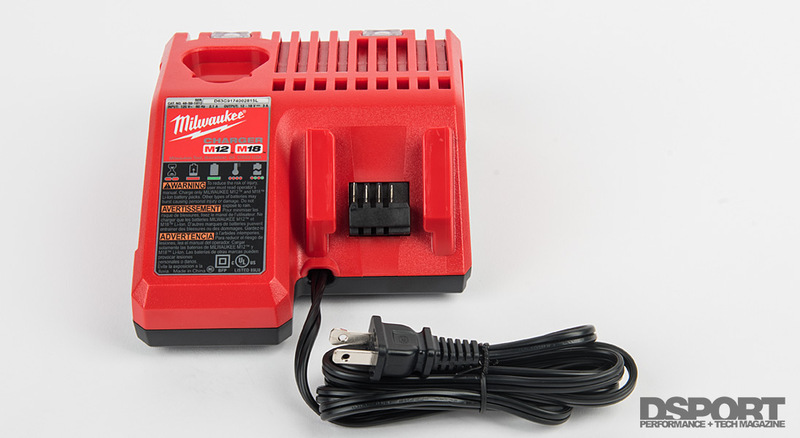 Since our last test, Milwaukee has updated this product and it carries over the best features that we tested. Get yours here.